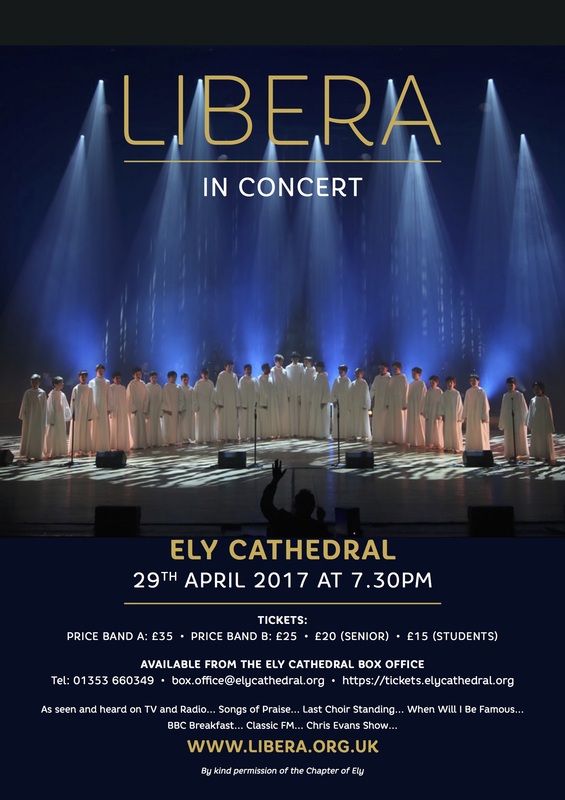 Tickets for our concert on 29th April are available from the Cathedral Box Office. Order online at the Cathedral Box Office Website or call +44 (0) 1353 660349 (Lines are open Monday – Saturday, 09:30 – 16:00). You’re all so wonderful, God Bless you all. Thank you so much for offering more concerts. If at all it would be possible, could I provide a donation for a poster after the completion of the concert? I would be so grateful if you could make it possible. Thank you again and may the love for our Lord Jesus Christ abound more and more through your joyous music. I would love to hear and goto that show……I was hoping by now Libera would show it on a online service that people can pay for view…I don’t the cost of doing something like that…But its something to consider….Good Show that last time you guys was in the USA..I hope to see you guy come back….Keep up the good work boys,you guy are great…. Have fun tomorrow! Wish I could be there. God Bless! Can’t wait until you drop the CD!